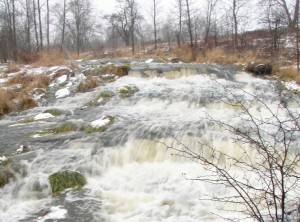 Upper Weeks Falls measures 16 feet (5 metres) high over several vertical drop sections. 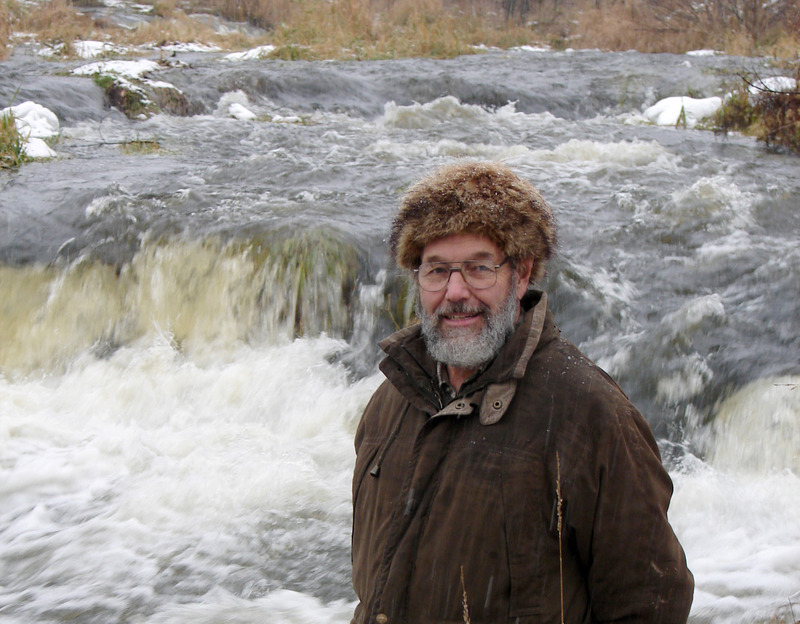 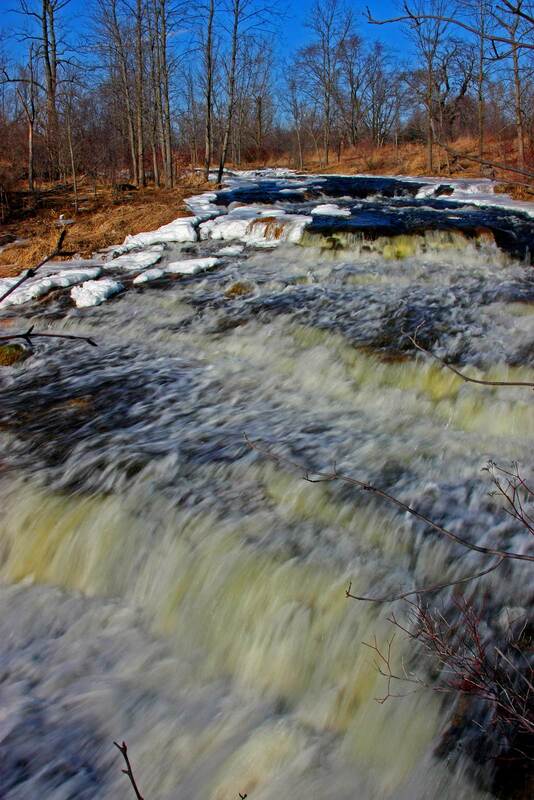 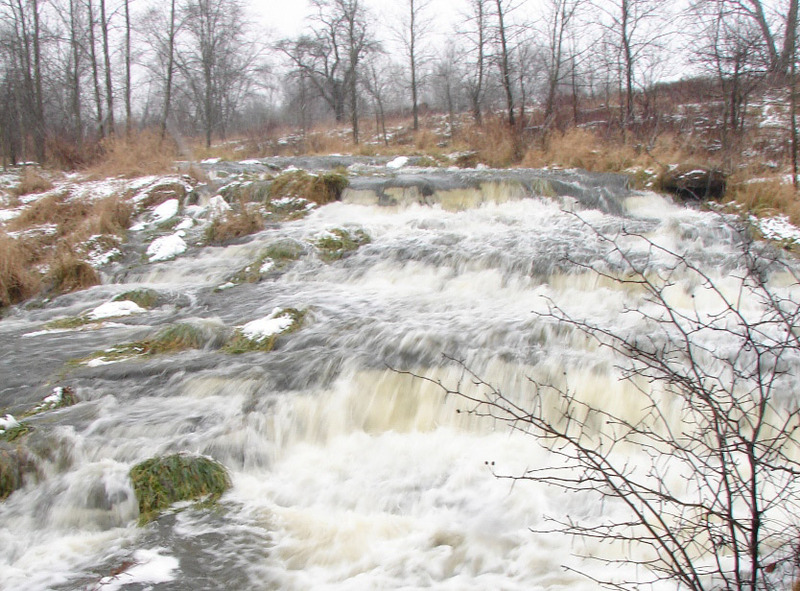 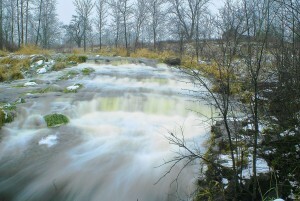 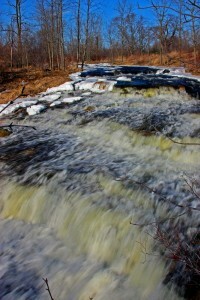 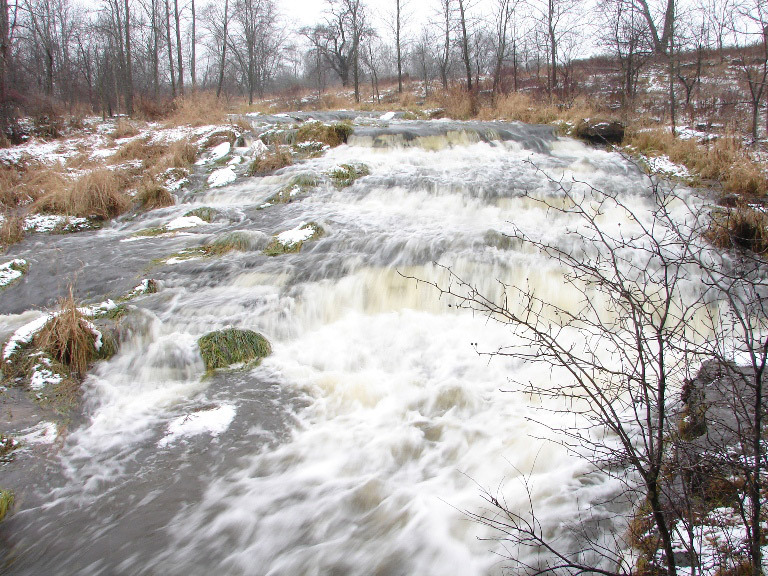 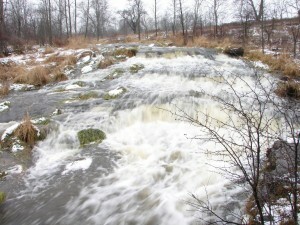 Upper Weeks Falls was discovered by Phil Armishaw, Dan Court, and Joseph Hollick in December 2008. 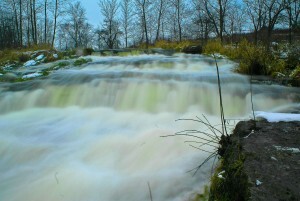 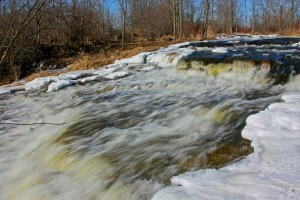 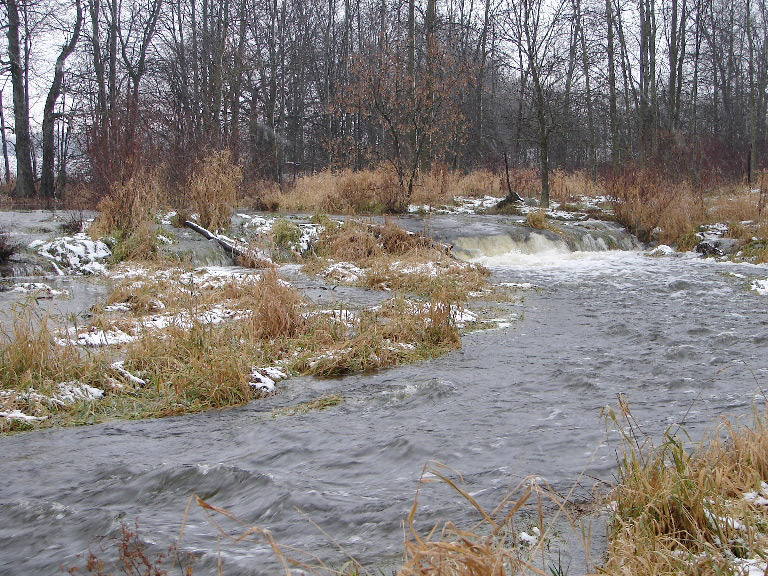 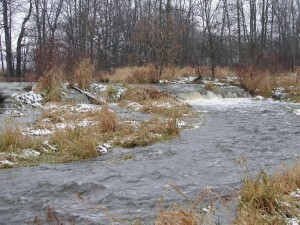 It is located on Fairchild Creek in Troy. 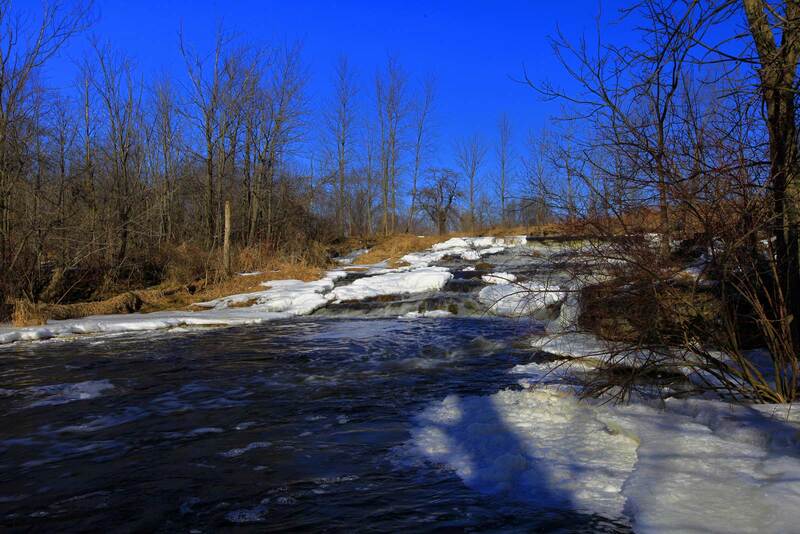 According to Vincent Weeks, owner of the property, when the Indians met LaSalle centuries ago, they named the creek after him, ‘Fairchild’ being a reference to his pale complexion.